On March 26, 1991, a group of five boys between the ages of 9 and 13 left their homes in Daegu, South Korea and walked to near-by Mount Waryong to look for frogs. 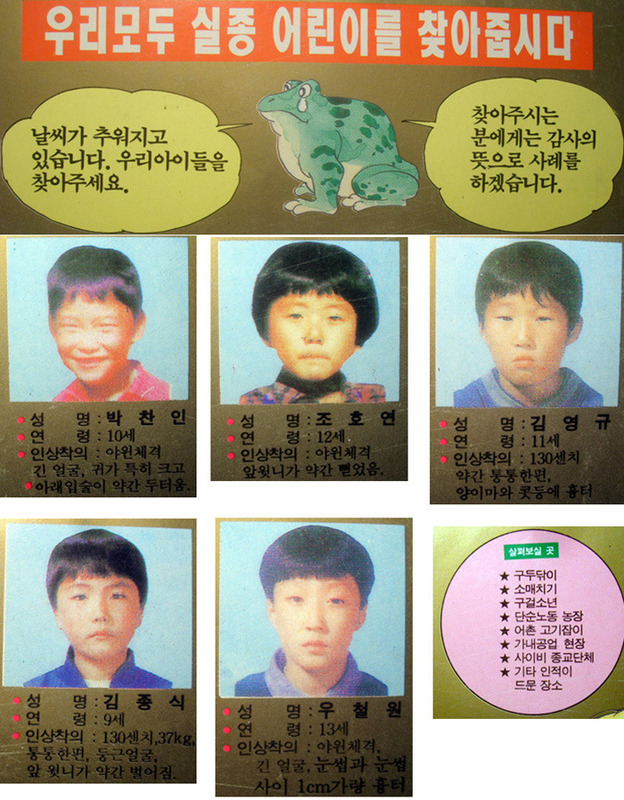 U Cheol-won, Jo Ho-yeon, Kim Yeong-gyu, Park Chan-in, and Kim Jong-sik were all students at Seongseo Elementary School. The boys knew the area well and lived only a few miles away from the mountain. The “Frog Boys”, as they would come to be known in the media, never came back. Their parents reported them missing, and while both townspeople and local police searched the area, not a single trace of the boys was found. As media attention escalated and the whole country became engrossed in the case, President Roh Tae-woo ordered 300,000 policemen to join in the search. Over 8 million flyers were distributed all over the country, and a reward of 42 million won ($35,000) was promised to anybody who could locate the boys. Some of the Frog Boys’ parents became so determined to find their sons that they quit their jobs so they could devote all of their time to searching. 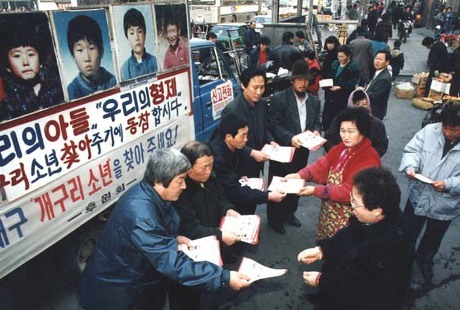 A picture from 1991 of the Frog Boys’ parents and other supporters passing out flyers. Despite all the extra help, investigating the case proved to be difficult. Authorities received over 550 false leads, and at one point, a man called the police and lied that he abducted the Frog Boys. “I have kidnapped the boys for an exchange of ransom, and they’re dying of malnutrition,” he said in one of the calls. The case went nowhere until September 26, 2002, when a man looking for acorns in Mount Waryong found scattered pieces of children’s shoes and clothing. He called the police, and after they searched the mountainside, found all five bodies of the Frog Boys in a shallow pit. At first, the police suspected that the boys had froze to death. It was cold and rainy the day they went missing, and the boys might have gotten lost. The fact that their bodies were so close together might have been because they tried huddling for warmth. Their parents, however, were skeptical. Their sons were found only 2 miles away from their village, so how could they have gotten lost? And why would they have taken off some of their clothes when the weather was so bad? Lastly, perhaps the most damaging point, Mount Waryong and the surrounding area had been searched and examined over 500 times the past decade. 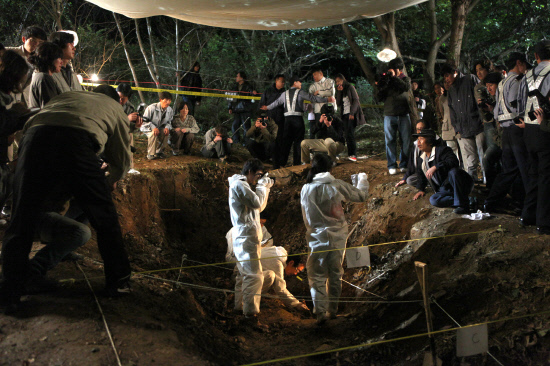 How could the bodies have possibly gone unnoticed for such a long period of time? After the boys’ bodies were exhumed, police admitted that their hypothermia theory was incorrect. Three of the boys’ skulls had marks on them, suggesting they were beaten to death by a blunt object. Additionally, two of the skulls had traces of blood on them, and another had two bullet holes inside of it, possibly from a shotgun. The police were no longer dealing with a case of missing persons; the Frog Boys were murder victims. The Frog Boys’ parents at the burial for their sons. No further developments have taken place since the boys’ autopsy back in 2002. 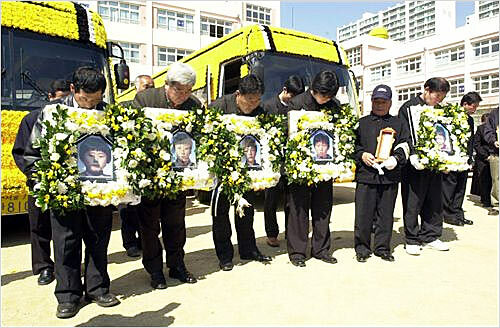 They were eventually buried on March 25, 2004, and their skulls were donated to Gyeongbuk University for medical research. In 2006, the case reached South Korea’s 15 year statute of limitations on murder, meaning the investigation was stopped and the murderer can’t be prosecuted for the crime anymore. Fortunately, South Korea removed the statute in July 2015, so perhaps there still is hope that the Frog Boys and their families will finally receive justice. Please consider supporting my blog on Patreon by clicking here. Anybody who donates $2 a month gets access to special articles, pictures, and sneak peeks at upcoming books! I always wondered what happen to these boys? It must have been more than 1 person wh o kIlled them.